Eva has begun the cycle of chemotherapy called “Delayed Intensification.” I outlined the various cycles of treatment in a previous blog post, but I can offer a bit more detail about delayed intensification now that we are in the midst of it. The purpose of delayed intensification is, as the name implies, to intensify the chemotherapy after a set period of time following remission. 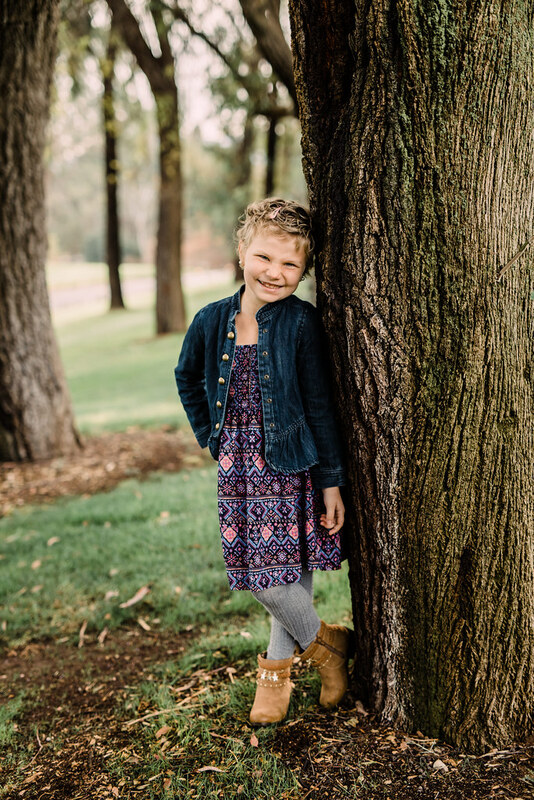 Since the goal of Eva’s treatment is curative, that is, is to prevent the leukemia from ever returning, the treatment plan is designed to eradicate any and all leukemia cells that may be lurking within Eva’s body. The current phase is meant to ambush any straggling leukemia cells that may have started to multiply again after the initial induction treatment and achievement of remission. It seems that there are differing opinions on how this cycle compares to the intensity of induction in terms of difficulty for the patient and her family. We know that this phase is intense for a number of reasons: Steroids resume, new drugs will be administered, and there are certainly a lot more appointments on the calendar. However, Eva will take far fewer doses of steroids than she did during induction, she will not be required to spend a week and a half in the hospital as she was during induction, not to mention the fact that she is in remission during this cycle while she was not during induction. Perhaps what makes Delayed Intensification challenging is more the delay and not the intensity. During Consolidation and Interim Maintenance I we had settled into a pretty nice routine again. With Eva handling chemotherapy so well overall we had been able to take a few day trips outdoors to enjoy the beautiful spring scenery in Southern California. We took walks in the mountains, in the desert, and along mountain rivers far from crowds but surrounded by fresh air and a spring bloom. Now—suddenly but not unexpectedly—we are back to greater intensity and more limits. Even though the phase is forward progress in treatment, it feels a little bit like going back to the stressful and fearful days of induction. We also know that this phase brings a greater likelihood of hospitalization for Eva. The treatment in this cycle will proceed regardless of her blood counts. This means that Eva’s immune system will not only be weakened, they won’t stop treatment if it gets too weak. While not necessarily likely, a hospitalization for a fever during this phase is not uncommon. She may need a blood transfusion again, too. The treatment began on Monday, March 20 with a fairly standard clinic appointment for intravenous chemotherapy. Eva received another dose of a drug she has received several times before—vincristine, a common chemotherapy agent. She also received her first dose of a drug called doxorubicin. Eva has still not yet become seriously nauseous after her chemotherapy infusions; she only complains of mild stomach discomfort on the days of her treatments. We administer Zofran and the symptoms go away promptly. The fourth day of the cycle called for Eva’s second overall dose of a drug called pegaspargase, or “peg.” She had received her first dose of peg while still in the hospital. We knew that the dose carried with it a greater likelihood of anaphylactic allergic reaction. Patients usually handle the first dose well, but the subsequent doses often cause a reaction. Eva handled the first dose well—there were no signs of allergic reaction. Her second dose, however, on March 24, caused an anaphylactic reaction. While Eva perceived mortal danger and the scene was disturbing, she was not in genuine peril. The clinic prepares in advance for allergic reaction before all doses of pegaspargase. Countermeasures are always at hand and at least one nurse stays with the patient through the entire dose. Eva received immediate treatment, and the doctor calmly said to Eva, “You are not going to die.” Audra comforted Eva throughout the process. Within minutes the physical symptoms of the reaction had dissipated. After a period of rest, Eva came back home for the day, but without her dose of pegaspargase. Some have asked why the clinic would administer a drug that carries such a high incidence of allergic reaction. There are several good reasons why. First, the drug is effective at destroying leukemia cells. Pegaspargase stops cancer cells from leaching a vital enzyme from their neighboring, healthy cells. Without the enzyme, the cancerous cells perish. For this process to be effective, the effects of the drug must persist in the body over the course of approximately two weeks. Thus the second reason the drug is used: the formulation of peg that patients receive first uses a molecule structure that causes the medicine to have dissipate in the body over a full two weeks. It is the same useful molecule structure, however, that also leads to a high rate of allergic reaction. The alternative version of peg does not stay in the human body for two weeks; it remains for only about two days. This means that patients who react to the preferred formulation of peg must receive a total of six replacement injections over the course of two weeks. Furthermore, those injections involve two large, painful shots in the legs. So, the lingering effects of Eva’s allergic reaction are mainly in our schedule (a clinic day on Monday, Wednesday, and Friday for this week and next) and in Eva’s emotions. She has been afraid at bedtime that she might have another reaction while she sleeps. Overall her mood is quite good, but she had to work through more frequent bouts of anxiety. Getting two painful shots in the leg three times a week for two weeks wore her down. Remarkably, though, she came home from each appointment in a pretty good mood and got right to playing with her brother and sisters. Yesterday we finished those two weeks of additional appointments and now Eva has about a week off with only lab checks, no chemotherapy. She’ll resume after Easter. On one occasion in the life of Jesus he and his disciples came upon a man who had been born blind. The disciples of Jesus asked a question we all ask when we come face-to-face with suffering—why? Of course, when you read the account of their words in John chapter 9 you find that they thought they knew the answer already—someone had done something wrong to deserve it. Jesus answer is not the neat and tidy answer that we often seek—we either want it to be God’s fault or our fault. Instead, Jesus said, “This simply means God has work to do.” Then he restored the man’s sight with what seems to have been a deliberate reenactment of God’s creation in Genesis: he made new eyes for the man out of dust. The miracles of Jesus have taken on a new character for me since Eva was diagnosed with leukemia. Jesus’ miracles do more than offer evidence of his claim to deity. The recipients of his miracles were far more than people who caught a lucky break. Jesus’ miracles were recorded, as the apostle John says, that we should believe that Jesus of Nazareth is the Son of God, and that by believing in him we might have life in his name. Suffering in this life show us God has work to do, and the miracles of Jesus show us what God’s work is all about—he makes all things new. The promise foreshadowed by his miracles is that no ailment in this life can outlast the creative power of Jesus. Why? Because the sin that causes all this corruption has been decisively defeated by Jesus. Suffering is defeated by suffering, death is undone by death, and new life, new creation, and reliable hope are the happy results for all who believe.